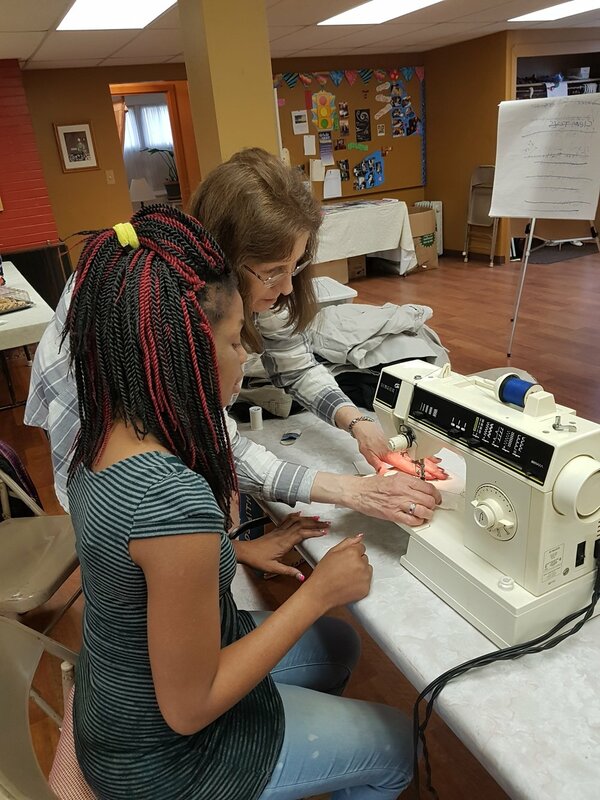 On April 14, 2018, Holy Trinity hosted its first Repair Fair! 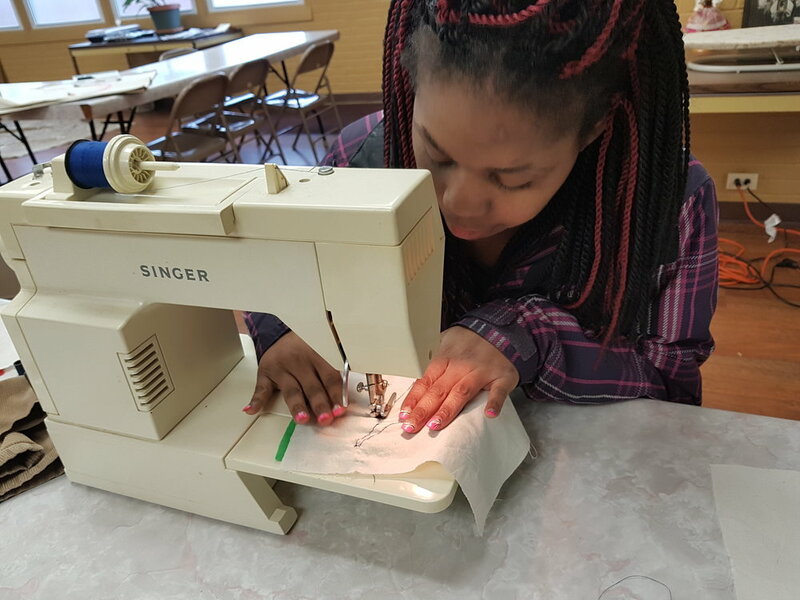 We repaired school uniforms and learned some basic sewing stitches, sanded cabinet doors for repainting, painted tires for the tire garden and built a sign for later fairs! With generous funding support from the United Thank Offering as well as from our own Commissions for Community Outreach and Congregational Revitalization and Development, the diocese was able to create the position of Missioner for Community Engagement in the summer of 2017. Canon Adrien Niyongabo accepted the call to this position, and his presence among us already has greatly enriched our understanding of what we are about when we seek to engage our neighbors. Please take a moment to get to know Adrien and his work! Adrien is originally from Burundi, where he received his degree in Sociology from the Université du Lac Tanganyika. From 2004-2015, he worked as co-founder and national coordinator to develop and implement the first Healing and Rebuilding Our Communities (HROC) program in Burundi to help deal with the aftermath of generations of interethnic violence—periodically erupting in genocide—between the ethnic Hutus and Tutsis. As part of that work, he supervised over trainee-led community workshops on community trauma healing with internally dispalced people (IDPs), returnees, and ex-combatants who began to reestablish relationships. Once HROC was established in Burundi, Adrien worked to help spread use of the HROC model to Rwanda, Kenya, the Democratic Republic of Congo and Uganda. During the same period, he was also leading the Quaker Peace Network's efforts both in Burundi and across the region. In 2015, Adrien came to Indiana to earn a Masters Degree in International Peace Studies at the Kroc Institute of the University of Notre Dame. His work there continued to focus on his passions for community well-being, promotion of human hope and dignity, and the healing, reconciling and empowering of community members. Adrien received his MA from Notre Dame in May of 2017. When an advisor told him that we were searching for a Missioner for Community Engagement, Adrien was attracted to the opportunity to help us discern what Asset-Based Community Development would look like in a variety of different contexts. We, in turn, were drawn to Adrien's combination of deep spirituality with concern for more the practical details of training and community development. We are delighted to have been able to invite Adrien to join our Diocesan Staff! The United Thank Offering (UTO) is a ministry of The Episcopal Church for the mission of the whole church. Through UTO, men, women, and children nurture the habit of giving daily thanks to God, recognizing and naming our many daily blessings. That thankfulness leads to generosity. UTO promotes, receive and distributes thank offerings to support mission and ministry throughout The Episcopal Church and the Provinces of the Anglican Communion. Great things come in small packages—those little blue United Thank Offering (UTO)- boxes to be precise! Our current effort to support Asset-Based Community Development (ABCD) across the diocese would not be possible without the grant of $50,000 we received in the summer of 2017 to hire a Missioner for Community Engagement for a one year period. We are honored and thrilled to have been named a recipient! Our Missioner for Community Engagement, Adrien Niyongabo, has been trained in Asset Based Community Development (ABCD) through the Episcopal Church’s Called to Transformation program www.calledtotransformation.org). 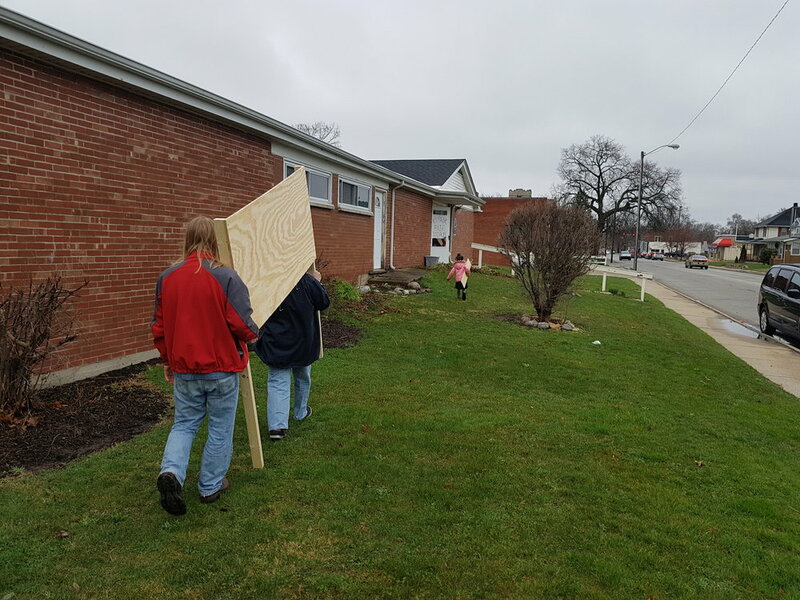 He splits his time between an initiative to help us unearth community assets across the diocese and a proof-of-concept project at Holy Trinity, South Bend. The diocesan initiative has already included an initial round of deanery-hosted ABCD workshops and is now heading into a period of individual faith community consultation, support, and assistance in the discovery of local community assets that can be more fully integrated with the life of the specific local parish. Only the Spirit knows where this will lead us! We are delighted to be a part of the work the UTO is doing to improve the lives of people at home and abroad. You may remember the presentation by the UTO Director, the Rev. Heather Melton from our 2016 diocesan convention. She shared with us that this project is exactly the kind of work the church overall, and the United Thank Offering, is looking to promote. We can't wait to see how the Holy Spirit inspires this process and helps us live into our communities more fully. It is our hope and prayer that some of the projects we envision will lead to future UTO grant applications.